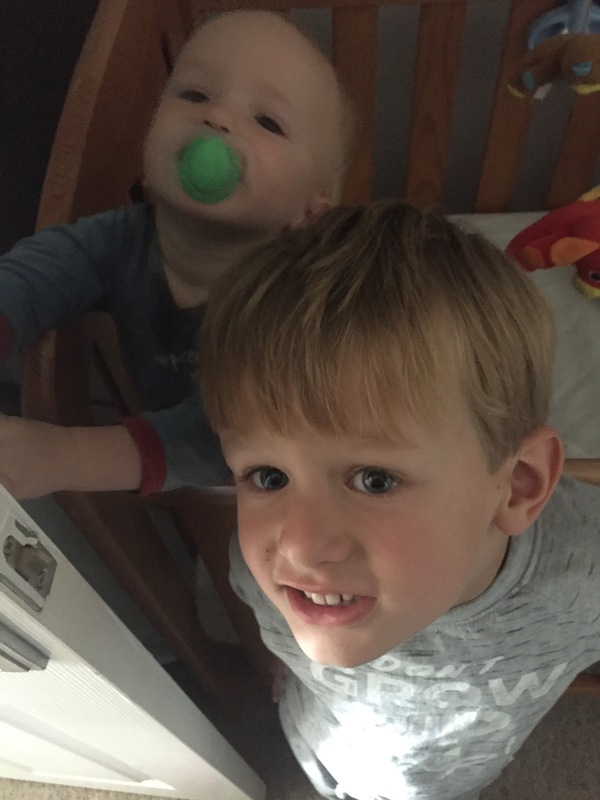 Here’s a little update of my boys over the last couple of months as I have not been keeping up with my blogging for a little while, what with the end of term and summer holidays. They have taking there toll on any ‘me time’ and I have had very little inspiration or motivation for writing. I have been busy busy and then simply crashing at the end of the day and not being able to bring myself to open my laptop.I have added a huge amount of photos in this post – some that i love, some that make me chuckle and some I think show their relationship pretty well at the minute. 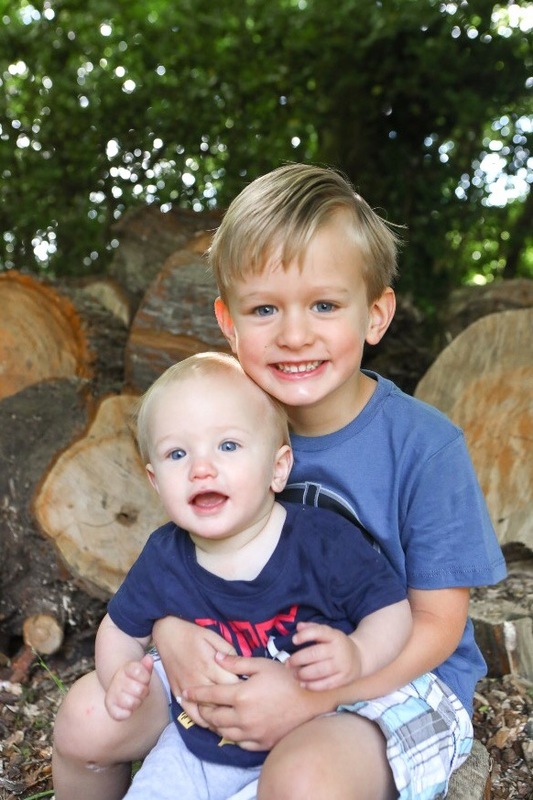 LB’s last preschool photos – the photographer was doing sibling shoots as well and even did some of P on his own. The last ones we had done were back in November when P was only a few weeks old and LB had just come out of hospital so wasnt looking 100%. I absolutely love this photon can’t believe how grown up LB looks. One of the many daily cuddles, though P is becoming less and less compliant as he hates being ‘held down’ and wants to get around more. This photo cracks me up as it looks like P has been told off and he’s looking a little sorry for himself. I’m not sure what has been said or what he was told No about but the little cutie is not happy. One day we are hoping for these 2 to share a bedroom so we can get a little office space in the little box room. They already jump into each other beds (yes LB into the cot too) play on the floor with cars and giggle away I’m sure they are going to cause plenty of mischief. 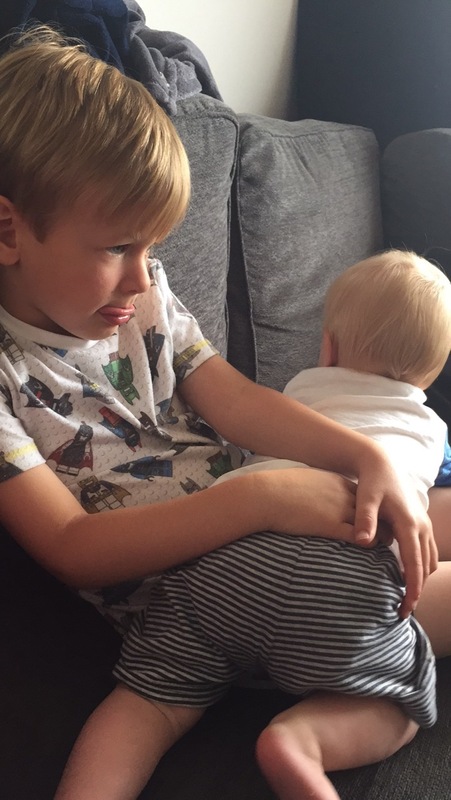 Even when LB is watching the TV or doing something he is generally pretty understanding as his brother climbs all over him, pulls his hair and whacks him in the face. A photo with them both looking the same way, happy to be cuddling and almost smiling-yippee!! LB is very protective of his little brother. He always says mummy I’m worried P might fall, or I’m worried he might hurt himself with that. This photo was taken in a church at a friends christening and P wanted to get off my lap, obviously, so LB put his arms round him and made sure he couldn’t fall off the bench – what a star! Keeping P entertained at my nans house-where he is always after the fireplace and all the ornaments and photo frames. LB once pulled a bottle of red wine off the wine rack there and smashed it all over the kitchen floor. I’m now very careful about where they go and what they touch there. Helping at bath time with washing those tootsies. 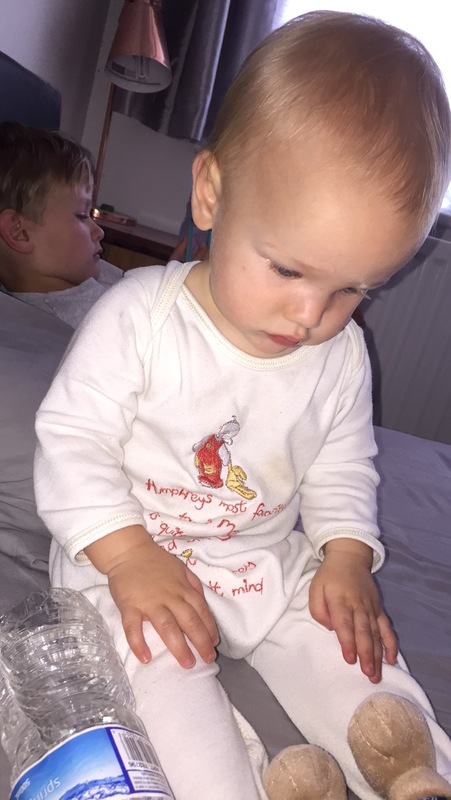 P will no longer sit int his chair and climbs out constantly – a bit like the highchair (I’d forgotten to put the straps back in after washing them and can now only find one-damn it). A bath mat is now the next option i guess to make it less slippery. Helping his Brother up the bouncy castle slide at Auntie L’s birthday party at the beginning of August. P also went down on LB’s lap and absolutely loved it. Park time and instead of going off and playing himself LB wants to push P on the swing and make him laugh. This is what our weekend mornings tend to look like at the minute. Sometimes Daddy is in there too but these two are rather wiggly so Daddy tends to go down to make a cuppa after a while (and normally it takes a little longer than it should). Getting P’s first shoes and measuring my big boy up as a size 12 at the start of the summer. He wanted to buy his school shoes, but i was like no way mate we’re coming back at the end of the holiday in case you’ve become even more of a giant. He’s 4.5years old and wearing size 5-6/6-7 clothes and has size 12 feet-WHAT??!! Garden playtime. Now P can pull himself up and get around more he loves to play with the footballs and in the little house in the garden. Here they were being an ice-cream shop asking us what flavours we’d like. I kept thinking what it will be like next summer when P is almost 2 and much more able. Now the weather this summer holiday has been well and truly rubbish. this photo was taken back at the end of June when we actually had a bit of sunshine and could get the paddling pool out and not freeze. It hasn’t gone above 21 degrees yet since we’ve been off school and it has rained at some point most days. I had so many plans of meeting friends a various park for playtime and picnics, having play dates in the garden and generally being outside but so far not much luck with that. 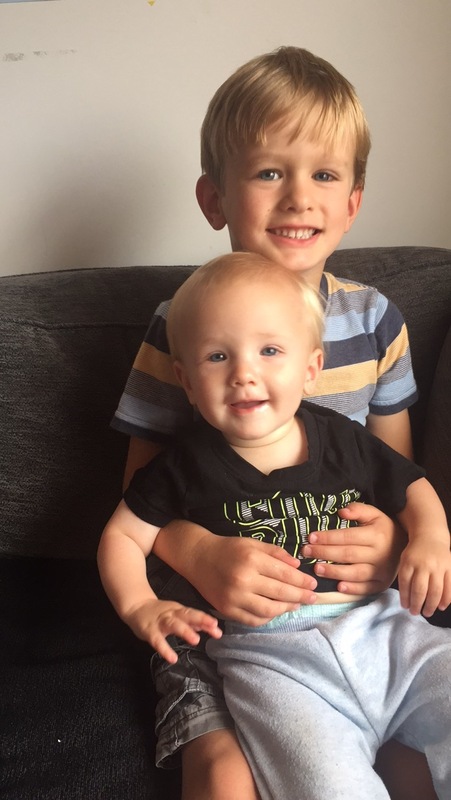 So in a nutshell this last few months has seen the closeness of these two boys grow. P can now do that little more in order to play with LB i.e. pushing cars around, however also can do a lot more damage like bring the car garage down in a heap. Its wonderful to watch their relationship grow and I hope that I continue to witness brotherly love rather than sibling rivalry (though I have no doubt its coming). We have also noted that LB is our sweet, emotional boy (though he certainly can be a pickle) while P is looking set to be our little bruiser who sicks at you when you say no. I mean they head butted the other day and it was LB in tears not P.